READING, Pa. (Oct. 30, 2013) – ODYSSEY® Battery by EnerSys® congratulates sponsored driver Brian Deegan on his fifth Lucas Oil Off Road Racing Series (LOORRS) Short Course championship this past weekend at Lake Elsinore Motorsports Park in Elsinore, Calif. Deegan entered the final round of the LOORRS PRO LITE series leading the championship point standings by 50 points, and finished by bringing home the 2013 PRO LITE championship, the third PRO LITE title of his career. 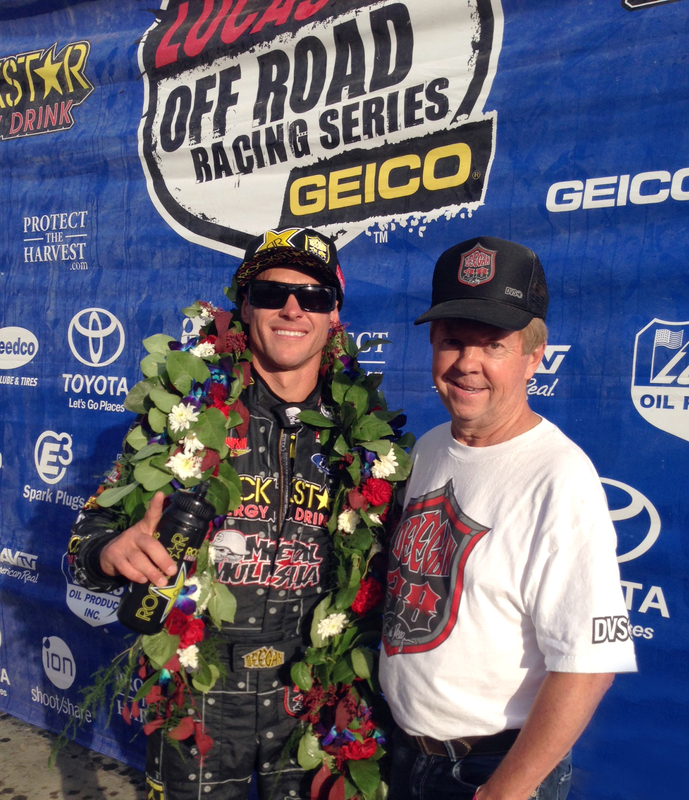 In addition to winning the PRO LITE championship, Deegan finished second in the 2013 LOORRS PRO 2 point standings. EnerSys is the official battery sponsor of Deegan and provides ODYSSEY® batteries and technical support for his LOORRS PRO LITE and PRO 2 race trucks as well as the Global RallyCross and X Games rally car. The ODYSSEY®battery logo appears on all vehicles, LOORRS and rally driver suits and the LOORRS team semi-truck and hauler. For more information about ODYSSEY® batteries, visit www.odysseybattery.com. EnerSys, the world leader in stored energy solutions for industrial applications, manufactures, distributes and services reserve power, motive power and starting, lighting and ignition (SLI) batteries, chargers, power equipment, and battery accessories to customers worldwide. SLI batteries are used for trucks and buses, passenger cars, boats, personal watercraft, ATVs, motorcycles and garden tractors. The company also provides aftermarket and customer support services to its customers from more than 100 countries through its sales and manufacturing locations around the world. For more information about EnerSys and its ODYSSEY® batteries, visit www.enersys.com or www.odysseybattery.com.